Marriott has been on our minds this week, make no mistake about it. We went into the event on Monday wondering what Marriott would say about the unification of the post-merger loyalty programs. Throughout the week, we brought analysis — whether about sweet spots created, opportunities knocking, or your strategy for future earnings. Chase appears to have heard the cry of the disenchanted SPG cardholders and has released a compelling offer on the Freedom Unlimited that some will consider a direct response. Read on for this week’s recap. Personally, I haven’t flown Delta since sometime in the mid-1980’s. That’s not a personal protest, I just never find the schedule/price to work for me. In terms of domestic awards, I never find deals on Delta flights out of my home airport — but in this post, Greg shows me that maybe I just haven’t been working hard enough at it, as the right kind of throw-away return might save a bundle of miles. You know it’s a classy event when there’s rosé in a can. Just after leaving the Marriott event outlining the plan for the merging of Marriott, Ritz-Carlton, and SPG, Greg summarized a number of the key takeaways, most notably the notion that it’s not as bad as we’d feared. See answers to a number of our questions for Bob Behrens, with whom we had a lengthy chat about the future of the program as well as the finer details about which many are curious. Marriott’s announcement on Monday included both positives and negatives. However, deeper analysis of all of those aside (since it would come later in the week), one thing stood out as very exciting in the short term: the top end of the new award chart is cheaper than the current top end of either Ritz-Carlton or SPG — at least from August 1st until the end of this year. We spoke briefly with David Flueck, who introduced us to the Vice President of Marriott Rewards, Bob Behrens, to answer our many questions about the new program. There’s some conflicting information floating around about what this means for some of the ultra-high end SPG resorts, but we’ve followed up multiple times on the notion that all properties should have standard rooms defined by August. Fingers crossed that it happens, as the new high end of Marriott is looking like a great opportunity for some awesome stays in the short term. The clock is ticking and windows are closing. Greg lays out your opportunities, which ones matter more than others and when your expected deadlines are coming. Sure, some of the inevitable changes are less than wonderful – but good things come to those who prepare. Did someone say free money? Yeah. that was our own Stephen Pepper calling. He’s found a number of Acorns “found money” options that don’t require a purchase. Sure, each offer will take a couple of minutes of your time to complete, but they won’t cost you a dime — rather they’ll put more than a couple of dimes in your account. If you’re using Acorns already, it makes sense to make a few bucks. Do the negatives outweigh positives in the new Marriott program? A reader suggested that the negatives far outweigh the positives in the new Marriott program — going so far as to say that the announced changes are “collectively horrific”. Are they? Surely some of the changes hurt, and some groups will be impacted more than others. In this post, I examine whether or not the changes are catastrophic…and the discussion continues in the comments. Holy smokes indeed. Some will say that Chase is courting SPG lovers disenchanted with the decreased earnings coming for them in August. And let’s be honest…the prospect of 3x Ultimate Rewards everywhere for a year does kind of soften the sting on that (especially when you consider that Marriott is a transfer partner and Chase has several of the good SPG airline transfer partners….making this the new SPG card for 2018-2019). The catch, of course, is that you have to be under 5/24. I am. My finger itched over the “Apply now” button all day long, with my main hesitation being the increasing number of Chase shut down stories of late. Still, 3x everywhere is hard to pass up. I doubt I’ll make it through the weekend without applying. Spending for miles. Best SPG alternatives. 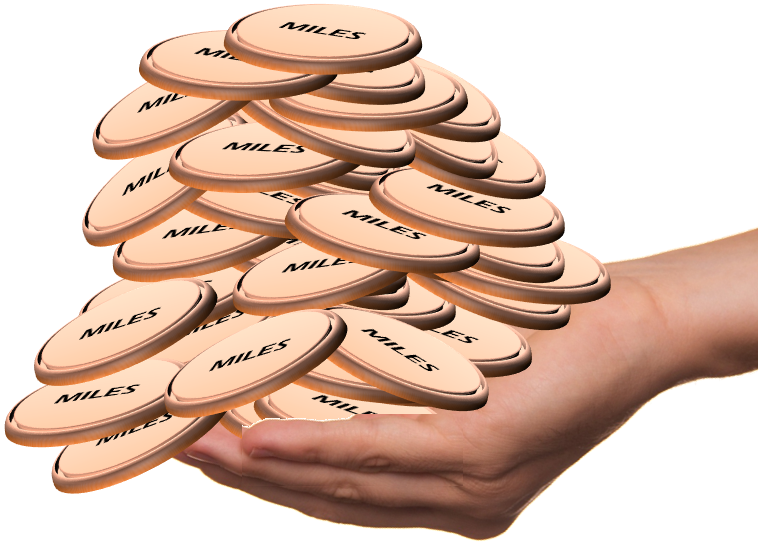 On August 1st, one of the most beloved cards for collecting airline miles is taking a hit and becoming much less valuable in terms of earning. It’s a hit we long expected, but nonetheless people are looking for the logical replacement. While there isn’t one card to “rule them all” in terms of earning with the same range of airlines, Greg runs down the options for earning with the best SPG partners once the earning structure changes. With the new offer out for 3% back for 1 year on the Chase Freedom Unlimited, the prospect of earning cash back to buy miles when they are on sale seems even more reasonable. That’s it for this week at Frequent Miler. Check back soon for this week around the web and the upcoming last chance deals. Anytime anyone mentions Chase cards.. I can stop reading.. with the 5/24 limiit imposed.. who is really going to be able to take advantage of any Chase Offers.. It appears even the new Chase Marriott cards are going to be unavailable under 5/24.. is that correct?